Property 1: House of character, the countryside to the city. Wifi, linens. Rustic + Cute House near Saint-Malo Centre | Private Entrance! Property 11: Rustic + Cute House near Saint-Malo Centre | Private Entrance! Rustic + Comfy House near the Centre | Private Entrance! Property 12: Rustic + Comfy House near the Centre | Private Entrance! Cute + Rustic Saint-Malo House | Private Entrance! Property 15: Cute + Rustic Saint-Malo House | Private Entrance! We had a wonderful time getting to experience this property. Delightful mix of old and new. Our host was definitely a SUPER HOST and we can't say THANK YOU enough to her for all she did for us. I would highly recommend this farmhouse to anyone staying in this area. You won't be disappointed. 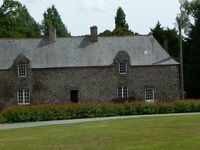 This is a beautiful historic home a close drive to the walled city of St. Malo. The homeowner and manager were both lovely to work with, and we thoroughly enjoyed and appreciated the restaurant and other recommendations from Madame Kaemmerlen. The house and (extensive) grounds were a fun and comfortable place to spend time with our family, and there are a number of bedroom options to accommodate everyone. 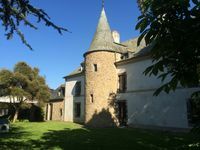 The house has a few quirks but offered a great base and wonderful experience for exploring the beautiful Breton countryside.